Please read the following instructions carefully prior to requesting information from the Faculty Erasmus coordinator by e-mail. The courses for the AY2018/19 Autumn semester will become available as we approach the start of the semester. Until then we suggest you browse one of the previous Autumn/Spring semester's load of courses. The chances are that many of them will be offered again (in addition to a fair number of new ones). You will always be able to change your final Learning Agreement once you are in Budapest and have a chance to look at the current catalogue. At some departments, special Erasmus courses are offered, at other departments, Erasmus students can choose from the general courses offered to non-exchange students at ELTE. You will already be aware that our agreements are specific to the subject areas in which they are set up and are based upon the specific request of individual disciplines. Students must discuss their programme of study with the academic coordinators concerned in order for them to see if the study programme of their preference can be duly executed. Deadlines and technical details (for AY2018/19 Spring Semester): The Faculty of Humanities would like to receive student nominations by 10 November the latest. Nominations received beyond the deadline will be processed provided that the concerned host department expresses its willingness of evaluating applications after the deadline. Students, whose nominations have been confirmed by the respective host department, will receive personal instructions with respect to technical and administrative matters. 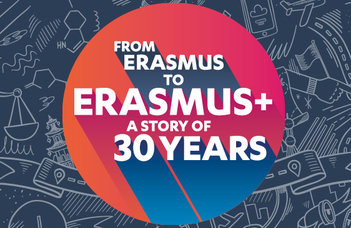 In all cases, students will be notified on an individual basis by the Erasmus Faculty coordinator about the technical to-dos (application, registration, post-arrival activities, orientation events, etc.) no later than the end of May (in case applications are submitted in a timely manner). Students are expected to fill in the online application form sent by email to them. Contact details of the institutional/departmental coordinators are sent to nominated students by email.